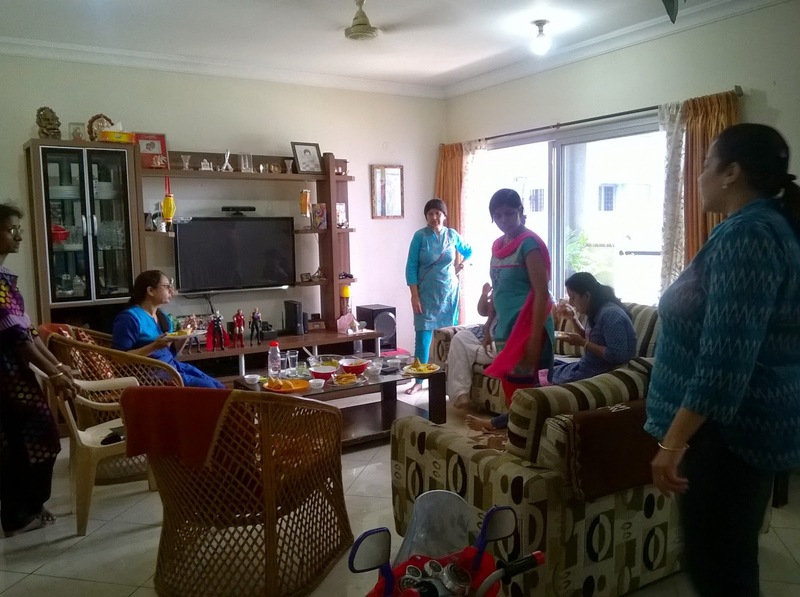 Meet the SWM team at Sobha Quartz, a residential Apartment Complex in Bangalore. 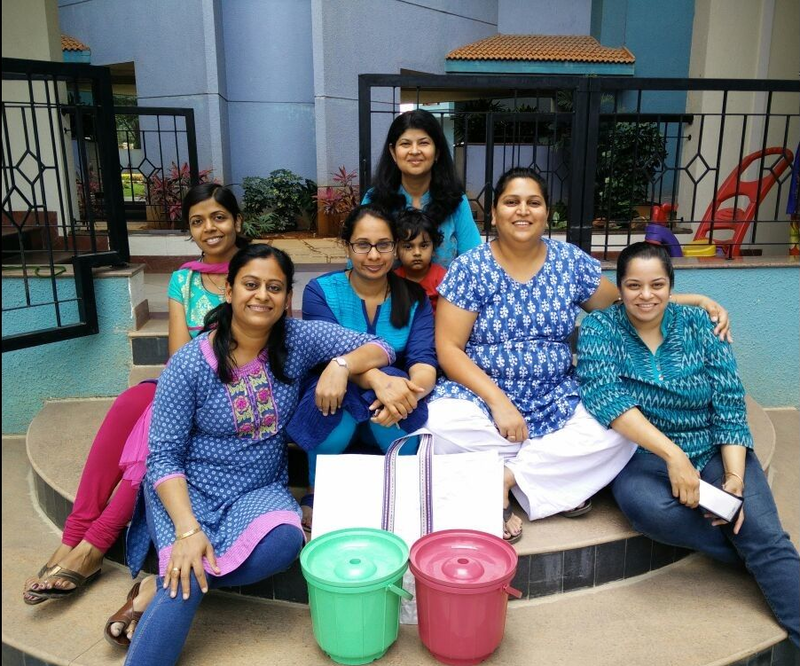 Thanks to the tireless efforts of these Powerpuff Girls, and their supportive residents, Sobha Quartz has now become one of the few residential communities which is religiously following waste segregation and management to reduce the reject being thrown in landfill. It is a community of more than 200 families who have joined hands for the cause of saving our environment by being responsible residents. Waste disposal is a big headache in these times given the rate at which human population is growing and our modern lifestyles. Last year, BBMP issued guidelines to Domestic bulk waste generators (like apartment complexes) to manage waste more effectively within their premises otherwise a penalty would be levied. 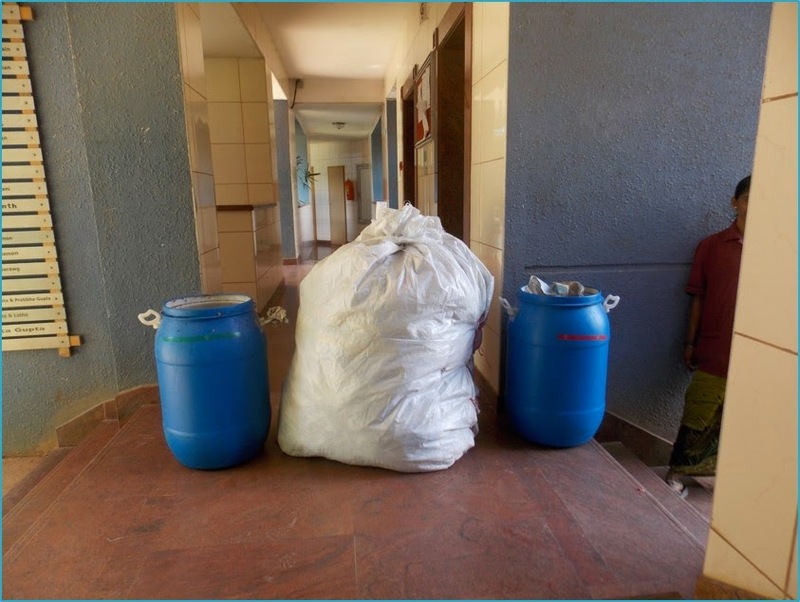 Thus it became paramount to separate waste and dispose them off, strictly as per guidelines. 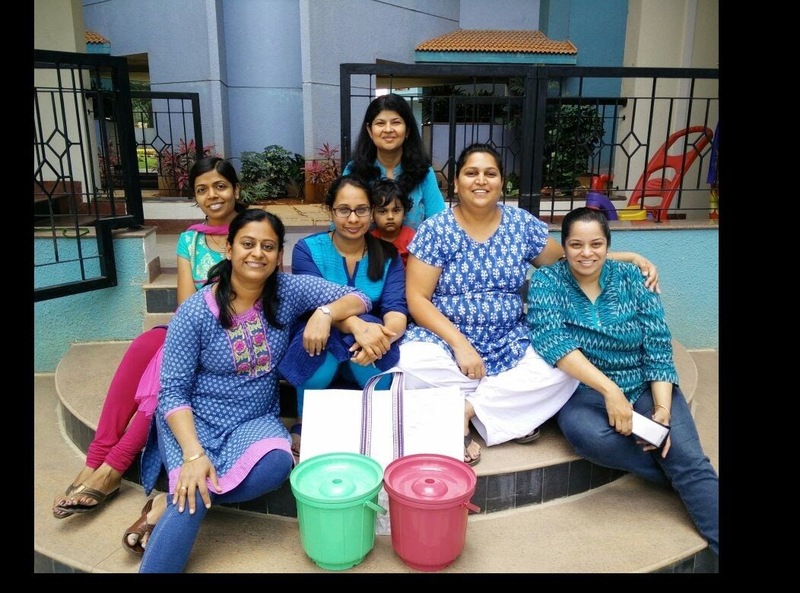 The journey of SWM at Quartz started 5 months ago, when one of the ladies here Shubha Tripathi got in touch with Kasa Muktha Bellandur group who are actively helping implement waste segregation in Bellandur area using their innovative 2 BIN 1 BAG method. Wherever you go, you will see garbage collected at road side, empty plots or barren lands. This causes an irreversible damage to our environment. Waste segregation at source, recycling and disposing waste responsibly is the only solution to avoid such landfills, believes Shubha. Within days a team of volunteers was formed of like-minded friends and neighbors. 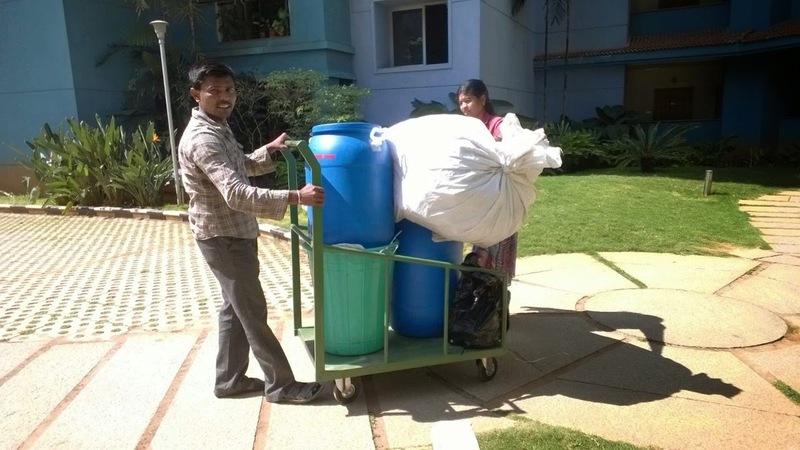 They decided to adopt the 2 bins and a bag process where Organic, Recyclable and Rejected waste are put separately in color coded bins and bag making it easy for residents (parents as well as children), maids and housekeeping staff to understand and follow waste segregation. The Organic waste (Green) can be composted and converted to manure. The Recyclables (White) can be sold to scrap dealer to further get recycled. Only Reject waste which is between 5 to 10% of total waste will go to landfill instead of all the mixed waste. The members in spite of their hectic family-professional lives and tough challenges continue meeting once in a while to decide on their further course of actions. They have a whatsapp group for quick discussions. The team does door to door campaigning convincing residents and monitoring the compliance, sending regular emails and updates to keep the momentum going in their community. "For the first couple of months we marked those flats who did not segregate, but it didn't improve the statistics and many people were displeased at being pointed out. However, in February, we decided to change tactic and started highlighting the residents taking troubles to segregate well. That lifted spirits and made a shift in the attitude", remarked Sheela, another team member. It took some convincing, lots of hard work and sincere dedication which bore fruits as the reject waste of the society reduced to just 10% of the total waste in a month. The group decided to present tokens of appreciation in the form of cloth shopping bags to families that segregated consistently and those that turned-around. "The most amazing and heart-warming stories are of those houses which went from not knowing how to segregate to perfect segregation with even no bin lining!" adds Sheela. Waste Vendor charges Quartz for the RED and GREEN bins while they get business from Recyclable White bags reducing the overall cost for the complex! But all this was not possible without the dedication of their house-keeping staff. Anandhi, one of the team-member explains, "Communication between the team and the house-keeping was the main barrier as we don’t know their local language much and they don't read or write! We did a presentation with colorful pictures to train them so that they could spot-fix the collected waste properly. For example, soiled paper linings found in recyclables are transferred to reject waste by the maids as our waste vendor does not accept those in kitchen waste or any clean recyclables found in organic waste are transferred to the recyclable bag." It takes the effort of the whole community to make anything like this happen, so needless to say this is a quintessential responsible civil society that cares about the health of environment. Hope this trend expands to all the localities. Need of the hour is to have segregation as a lifestyle but it takes continuous effort to reinforce it every day. "Once I was a vivid plastic bag user but now I carry my own cloth bag for shopping. Swatch Bharat can be achieved only when each of us realize that 'My waste is My responsibility' and I will do my bit to reduce the littering from my end. We have one planet to call Home so let’s not flag it red with our irresponsible behavior." exclaims Anandhi with zeal. "We do not inherit the Earth from our Ancestors, we borrow it from our Children..."
That really is an amazing job they are doing. Kudos to each and everyone of them. Yes, these Ladies show lots of determination.. 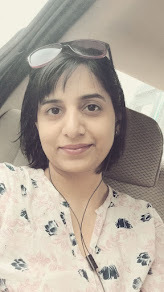 Hats off to their commitment..
Lovely blog, Roohi! Thank you so much! This is a very nice post. We are choking in garbage. We must do everything that we can. Collection of waste is one part, disposing it is another problem. Municipalities are running out of landfill sites. Besides, non biodegradable waste needs innovative solution to dispose of. Human population, Sir.. We are just too many and even then expanding and on that the industrialization and plastics! Tough times needs tough solutions.. This is still easy.. This is great, Roohi. Such people and their noble job mean a lot in today's world. Yes and I know them personally.. The dedication they are showing is amazing.. Loved reading and re-reading this . Inspiring to the core. Wish every body can segregate their waste so that recycling can be more efficient and effective. 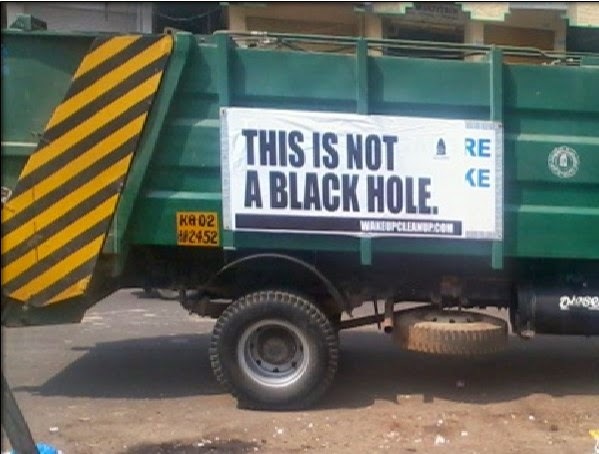 The more is the recycling, the less would be the mining. That's why I decided to write a post on this, Sabya. I hope this will help in spreading the awareness..